The Florida Gators are one of the premier football programs in the country over the last 30 years and they have an incredible brand of football, that is respected from sea to sea. But over the last seven seasons, that brand of football has been altered. They have been known for their staunch defense and sputtering offense. They have been through four individuals acting as head coach. 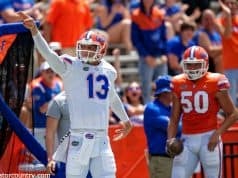 They have been a different program than the one that was known as the high-octane offense in the FBS and the next coach is going to be tasked with re-affirming the Florida Gators brand – the brand that fans of grown to expect. However, I opine, that the biggest issue the new coaching staff will face is not on talent – they have talent – it will be on rebuilding confidence. You see, the current Gators offense ranks in the bottom 20-percent of nearly every offensive category that measures success. And beyond that, the Gators offense over the last seven seasons has ranked 105th, 104th, 115th, 96th, 112th, 116th, and 109th in the country. That would mean, that current Gators freshman were in fifth grade when the Gators had an offense ranked higher than 96th in the country (83rd) and back to fourth grade when the Gators were last known for their high-powered offense in 2009, where they ranked 6th in the country. 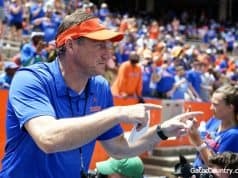 It is not simply a talent issue, as the Gators have recruited 12 top-300 offensive prospects, more than Clemson, over the last two seasons and have 10 offensive players that were ranked as top-15 players at their respective positions in high school. The same talent that is playing at Florida was recruited by Clemson, Louisville, Ohio State, and other high-powered offenses – so I fail to believe it is simply “bad recruiting”. In my articles, you have seen me criticize development and coaching – not just game day coaching, but overall improvement of incoming prospects – and I stand by that claim. But even more important, the next Gators coach will have to work on improving confidence, first and foremost. Confidence that they have the skills to excel in college football. Confidence that they were recruited to do a job – and that they can do it. 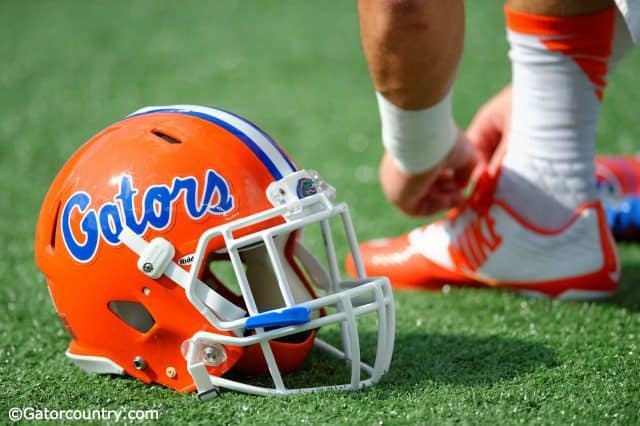 Right now, this Gators team, sans the UAB game, doesn’t believe in themselves. They struggle with the basics. They are one of the most penalized teams in the country. They struggle getting open on offense, they struggle making the right pass, and they struggle with relaying play calls and checks. That is not a talent issue. That is a confidence issue. The next Florida Gators head coach has a confidence issue to fix — and it won’t happen overnight.